Benchmarking is referred to as the process by which an organization measures their products, services, and practices against its most difficult competitors, or those organizations recognized as leaders in the same industry. Managers of various organizations use this tool to determine whether their organization is providing their specific functions and activities and the need for improvement in their business processes. The organization in which will be benchmarked is Sports Direct, a British retailing organization in the business of sports-goods retailing operation. The organization that will be benchmarked against is Amazon. Amazon is the world’s largest retailer online and a prominent provider of cloud services. In order to successfully carry out the benchmarking process, it is important to employ the Six Sigma Benchmarking. Six Sigma Benchmarking is a very practical and cost-effective method of introducing the best practices to an organization. The goal is to identify business processes which whenever they are put into implementation, it will help the organization attain exceptional levels of performance. This paper aims to demonstrate the benchmarking process of the customer support provided by Sports Direct against Amazon’s, and how Six Sigma can also be used to achieve best performances. The major area that needs to be improved is the area of customer service and supports. According to The Telegraph, Sports Direct ranks 77 in the list of the top best companies to provide great customer service which is a very low rank in the industry. In order to achieve a perfect customer support or services, Sports Direct needs to ensure that they continually provide the best service, ensuring the products they offer for sale to customers meet or exceed their expectations, thereby giving them premium satisfaction. Also, Sports Direct has to develop some customer satisfaction strategies such as a constant money back guarantee, best return policy or change of items purchased, and improvement of employee skills. According to Trust Pilot (2016) reviews, the majority of complaints given from customers are based on bad return policy and employee attention. Therefore, these are issues to be considered. Amazon is an American e-commerce and cloud computing organization, established in Seattle, Washington DC, its headquarters. Amazon has consistently maintained its high reputation as the largest Internet-based retailer in the world based on its total sales and market capitalization. (Jopson, 2011) In offering goods for sales, Amazon takes its customer services as a top priority. Amazon believes in establishing and maintaining long-term relationships with its customers in order to encourage repeat visits and buying, and even earning customer referrals. 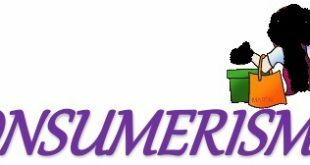 Additionally, the Company constantly seeks to achieve steady communication with its customers and also earn great feedback from them in order to continually improve their stores and services. Sports Direct recognizes the importance of benchmarking, and then takes it, based on the Company’s shares which fell towards the end of last year through till March 2016. To analyze the difficulty they fell into, they had to benchmark three key competitions in the same retail industry in the United Kingdom, and these include JD sports, MandMDirect, and Decathlon. They were able to achieve each of their benchmarking process using various systematic tools such as Visibility Index, Google Trends, Keyword Volumes, Index Pages, and Takeaways. (Jarvis, 2016) Therefore, benchmarking for this organization is possible. In all their strategies to improve customer services, they have not considered benchmarking their customer services. Studies have shown that Sports Direct continuously works to improve their customer support and services at all levels within the group, but there is a need for more emphasis on benchmarking this process. Successful organizations have been able to figure out the secret behind their success owing to customer satisfaction. It is important that an environment which supports a quality culture is created and it requires a systematic and structural process. Basically, Total Quality Management (TQM) is a management technique to long-term success via customer satisfaction. Amongst the principles of TQM, focusing on customer is a major principle that guarantees quality improvement. It is only customers that determine the level of quality an organization attains. So whether foster quality improvement, the training of employees, and integrating quality into the process management are considered, only the customers can determine whether the organization’s efforts were worthwhile. Furthermore, achieving the analysis of TQM philosophy for organizational change, it is necessary to consider the fact that Edward Deming discovered his 14 Points of Quality Management. These ideas have been modified over the years and it was done for the sake of improving the quality of service for customers for their satisfaction. According to Anderson et al., (1994), organizations employ the 14 Points of Quality for management to be able to regularly and continuously determine the objectives their organization should achieve and the strategies put in place for them to achieve these ideas. Moreover, organizations have implemented newer ways, approaches, and strategies to ensure that the implementation of quality products and services is achieved. These strategies have been enlisted from various authors. According to Joseph M. Juran, an important contributor to the development of TQM, the quality trilogy was introduced, these include quality control, quality planning, and quality management. Others include Crosby’s step to improving quality, Kaoru Ishikawa’s contributions to TQM philosophy, and many others. Therefore, to assist “Sports Direct International Limited” on the improvement of their customer care a new tool has to be used. Hence, the Six Sigma tools. Six Sigma offers some benefits. Basically, Six Sigma depends wholly on statistical and scientific techniques to ensure there is a dramatic reduction in the outlined defect rates of customers. (Linderman et al, 2003, Fursule et al., 2012) Using explicit, difficult goals in any kind of Six Sigma projects have the capacity to enhance the magnitude of improvements, reduction of performance irregularity of the projects, and the enhancement of the efforts of employees’ improvement as well as the quality commitment. (Linderman et al., 2003, p. 194; Fursule et al., 2012) Additionally, Six Sigma supplements for the barriers of Benchmarking through helping quality control based on the fact that Six Sigma is customer driven. Six Sigma is so strong that any defect to a product or service processes that is not acceptable to the end customer is considered a defect and wouldn’t be allowed in the organization for the improvement of quality. This is because Six Sigma takes into consideration the processes involved in the production of a product as well as the finishing of a service, not just its final outcome. And since the major problem Sports Direct is facing is its customer support process, employing Six Sigma will help the organization promote and improve its return policy and also the approach in which customers answer customers. Achieving a successful customer satisfaction is based on Total Quality Management in any organization. 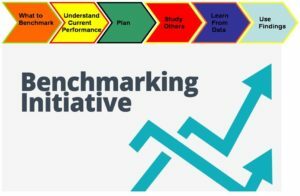 Benchmarking is an active process in this regard. It defines the comparison of a default in an organization to its thriving competitors’ process. Statistics have shown that Sports Direct has a poor customer service; however, Sports Direct keeps trying to ensure these issues are averted. Employing the Six Sigma tool will help take the problem from the top management to the least employee in making sure the company’s strategic goals are fully evaluated. However, this will be done to an extent, but in order to keep the entire organisation running at a high standard Sports direct need to implore a continuous improvement strategy which is attainable by employing Total quality system. An excellent example of this would be Toyota who don’t just use a singular tool but rather a variety of tools based around their Total quality system. Toyota use Jidoka which is essentially automation with a human touch, This will define the gap between the set goals to achieve a better customer service and the current performance in the organization. Another concept which is implored is Just in time, which prevents wastage. It follows a concept based on everything manufactured will be used, thus, saving the organisation a huge sum of money and increases customer satisfaction. If Sports Direct is determined to achieve complete organisational efficiency, a TQM system is a concrete recommendation as it is evidential in the case of Toyota and also Amazon where they have also incorporated Kaizen amongst other tools for continuous improvement of the organisation. Conclusively, by incorporating a set of tools to create a TQM system will define the gap between the set goals to achieve a better customer service and the current performance in the organization. Lee, & Choi. (2006). Six Sigma: A Vital Improvement Approach when Applied to the Right Problems, in the Right Environment. Assembly Automation, 10–18.